Travelling from or to Alice Springs? 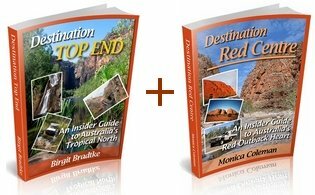 Destination Red Centre, the Insider Guide to Australia's Red Outback Heart (by Monica Coleman) is the long awaited third volume in the popular series of Destination guides. you save 30% on Destination Red Centre. 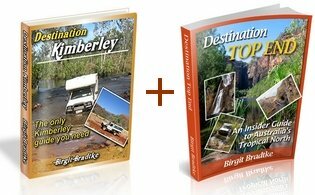 See the real Australian Outback! If you thought the Red Centre consisted of only Alice Springs, Ayers Rock and flat desert, think again. Destination Red Centre takes you off-the-beaten-track to some special places not many people get to experience. Yes, even if you have limited time and limited 4WD experience! Of course Destination Red Centre includes famous attractions like Uluru, Kata Tjuta, Kings Canyon, the West MacDonnell Ranges etc. 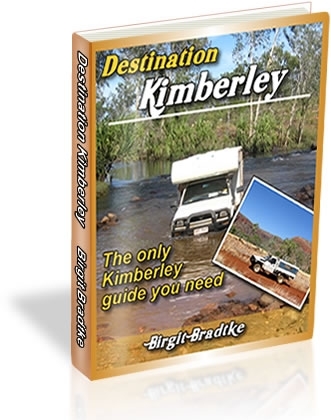 But it also includes those special gems that you would not easily find on your own, such as Roma Gorge, Birthday Waterhole, Eringa Waterhole, Redbank Gorge and many, many more! Let Destination Red Centre take you to secluded waterholes where kangaroos, native birds and other wildlife come to drink. Let it show you where to light a fire and camp for free under a million stars. It also helps you choose which of the many walks to do in the national parks and shows you how to get the most out of visiting Aboriginal communities and where to buy the best (and original!) Aboriginal art. Destination Top End at the full price. Thanks for offering, but really, I am happy with just Destination Top End.